The AccuBoost Treatment (a 5 or 10-day treatment option) offers women a convenient, non-invasive, targeted breast cancer treatment option that allows the radiation oncologist to minimize unwanted radiation exposure to healthy organs and tissue. 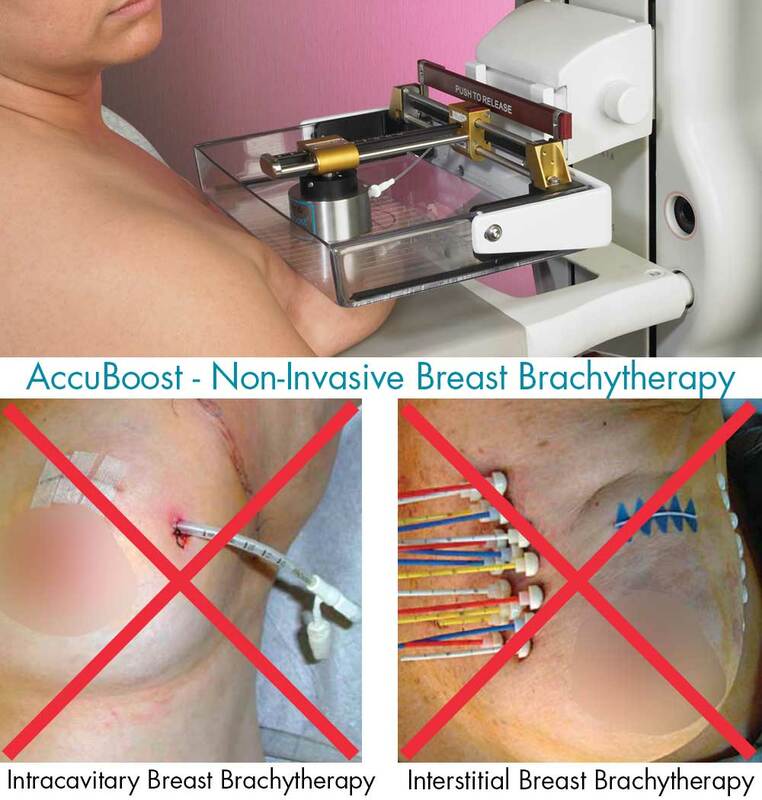 Also known as Non-Invasive Image-Guided Breast Brachytherapy (NIBB), an important feature of this approach is that the patient can receive treatment EITHER once or twice a day for 5 days or once a day for 10 days. Additionally, not having a device (typically a balloon or catheter) penetrating through the skin as is used in some approaches, can eliminate many complications related to invasive approaches. 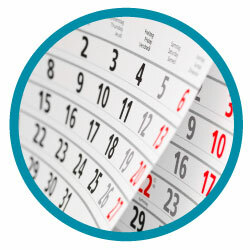 Many APBI techniques require the patient to come to the clinic twice, 6-hours apart, each day. This can be inconvenient for working women or those who are primary caregivers for children, the elderly and especially for those living in rural areas – at a distance from treatment centers. Coming to the clinic once per day can make scheduling much easier and not even require a working patient to take vacation or sick time for treatment. At the same time, patients traveling from a long distance can complete therapy in 5 days if desired. 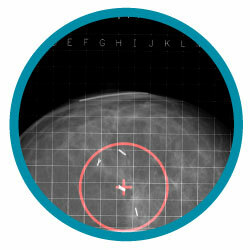 Daily imaging allows your radiation oncologist the ability to accurately locate the target area in every treatment session. *Brachytherapy is a method of delivering radiation where a radiation source is placed in or near the organ or tissues to be treated. 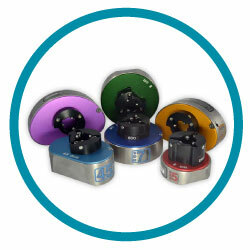 For the AccuBoost Technique, the source is placed close to the surface, but external to, the breast.